But I started all over again. What is more fun to do then to run with your dog!!! This time I really wanted to be prepared and I really wanted to go and succeed. 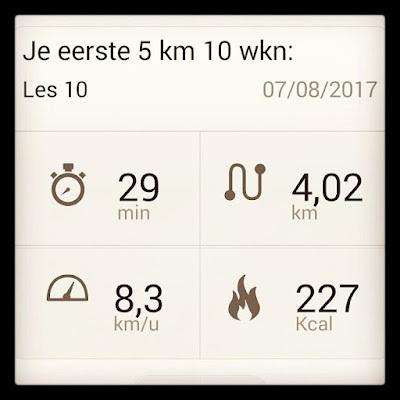 First of all I downloaded a nice app called "hardlopen met Evy" to do the schema of 5km in 10 weeks you only need to pay 3,99 euro, so ok, did that. 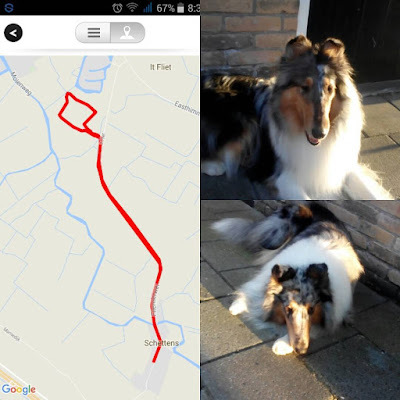 With all those attempts of running I did have all the gear for my dogs. Belt, Harnesses you name it, this running business was no problem for my doggies. Before I start I make sure they did potty, so I walked them normally, this walking is also important because it is a warming up also for me and the dogs. Just to make sure I still take poopbags with me. 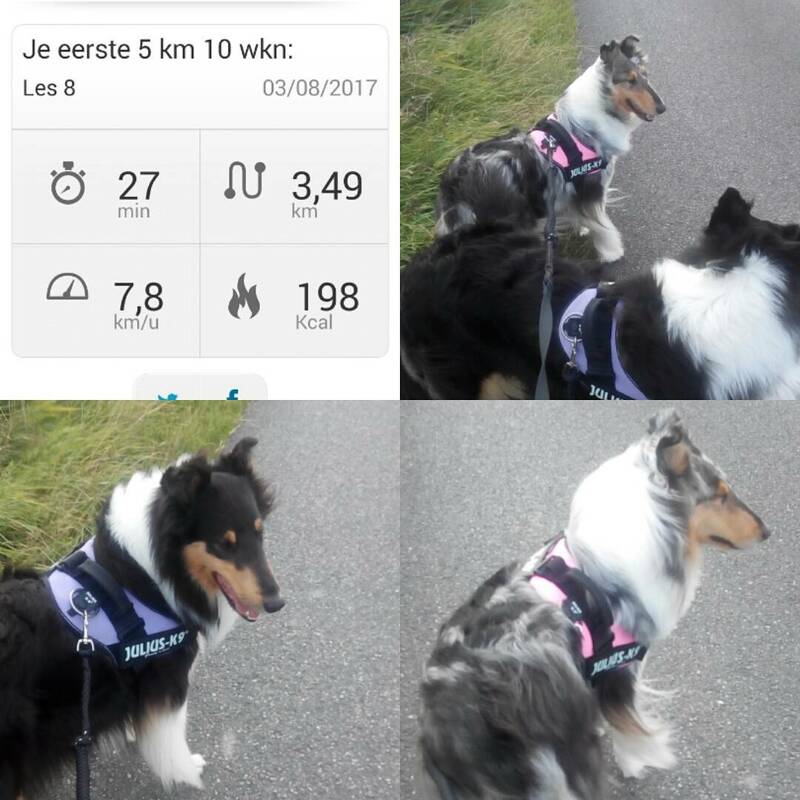 The first run was 20 minutes easy peasy for the furkids but for me wow, running 1 minute and then walking 1 minute, running 2 minutes and then walking 2 minutes and so on. Now I'm in week 4 and I am able to run 29 minutes and 3,73 km's. It is a big difference I run with my girls or I take Lucky with me. He is a strong boy and runs a lot quicker, and even pulling a little like in canicrossing. Next week the schema is running for 30 minutes, so I keep you updated.